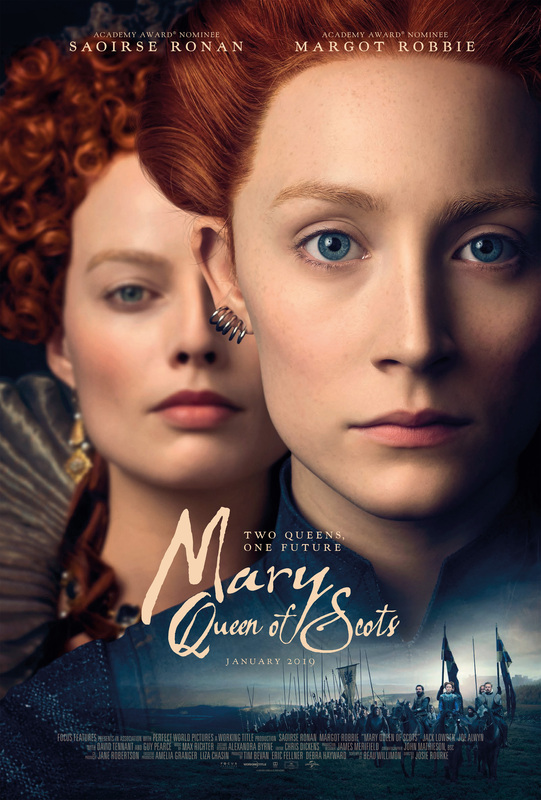 If you have a keen interest in Scottish history, and in Mary Stuart in particular, you might be perplexed by some of the “revelations” that Mary Queen of Scots includes as part of its adaptation of the book Queen of Scots: The True Life of Mary Stuart by John Guy. For instance, who knew that Henry Darnley and David Rizzio (Cordova), Mary’s “gay friend” (in reality her private secretary) slept together shortly after Mary and Henry were married? (That’s a rhetorical question.) It’s one of many historical inaccuracies and inventions that the movie comes up with to heighten the drama, as if the real story wasn’t exciting or dramatic enough. Also, the action takes place over twenty-six years, from Mary’s return to Scotland, to her execution in 1887. Not that you’d necessarily realise this as the movie appears to take place in a timeless period where no one ages, and plot developments come so thick and fast, that by the time you’ve absorbed one, two more have already gone by. With so much to cram in in two hours, Beau Willimon’s screenplay can only act as a yardstick for excessive historical exposition. But conversely, the movie is strangely reticent when it really matters, such as when Mary pardons Moray and others for their part in the insurgency, leaving the viewer to wonder if they really have missed something. 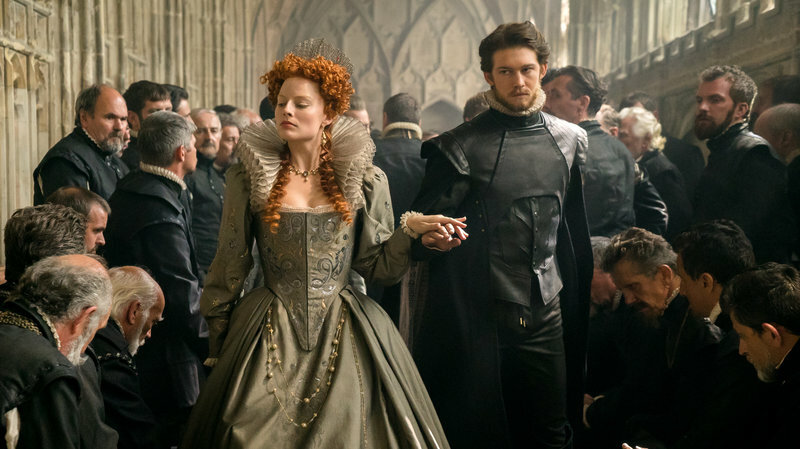 As the movie progresses, it becomes less and less involving, and less and less impactful, as all efforts to make Mary’s plight appear tragic slowly evaporate, and the narrative trundles on from one historical action point to the next with all the energy of someone trudging through treacle. First time director Josie Rourke, whose background is in theatre, does elicit two compelling performances from Ronan and Robbie, but hasn’t adapted her talents to meet the needs of her movie, and the result is a patchwork of disparate scenes that don’t always allow for a consistent narrative, or characterisations (Bothwell’s change of conscience is particularly troubling). But this is first and foremost a movie that affords Ronan and Robbie the opportunity to reveal just why they are two of the best actresses working today. Ronan is appropriately fiery as Mary, passionate and determined, but unable to combat the forces that lead her to tragedy. Good as Ronan is, though, Robbie is superb as Elizabeth, making her a tragic figure who knows what must be done to protect her kingdom, but whose conscience leaves her feeling sad and isolated. There’s good support too from Pearce and McArdle, and the sets and costumes are a highlight, but ultimately, this is a movie for those who don’t mind if their history lessons are compromised from start to finish. 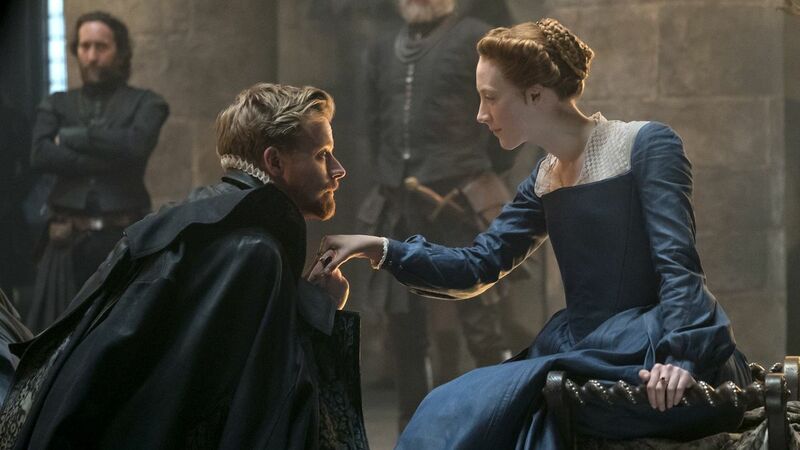 Rating: 5/10 – coming away from Mary Queen of Scots, the realisation soon sinks in that as a retelling of tumultous events and times in Scotland’s history, it’s not as robust as it needs to be, or as insightful; inevitably, it’s the modernism that lets it down, with Willimon’s script making a bad hash of trying to make the movie feel relevant to today’s feminist outlook, but worse than that, it just doesn’t hold the interest in a way that would make it more compelling. 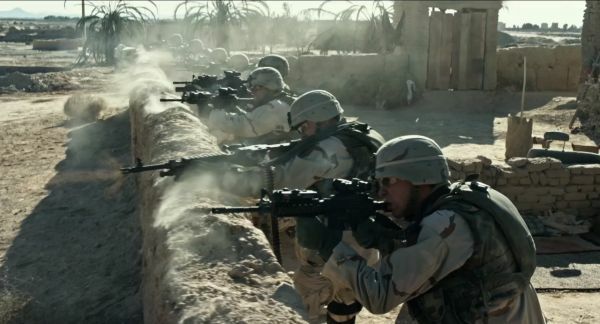 When Billy Lynn’s Long Halftime Walk went into production back in April 2015, there was much talk about Ang Lee’s decision to shoot the movie at a projection frame rate of 120fps in 3D and at 4K resolution. The previous highest frame rate was 48fps for The Hobbit: An Unexpected Journey (2012), but that experience didn’t prove as successful as hoped for. Lee’s idea was to make the movie as immersive as possible, and shooting at 120fps would have achieved the visual effect he was looking for. It’s a measure of Lee’s standing that his idea was supported by the various production companies who put up the money for the movie to be made. Lee’s idea was revolutionary, but also meant that there would only six cinemas worldwide that would be able to show it as Lee intended. So – artistic idealism or financial folly? In the end, and inevitably, it’s a bit of both. Lee has taken the novel by Ben Fountain and given it the kind of loving attention to detail that is rare in mainstream movie making these days, but in doing so, has somehow managed to lose focus on the “bigger” picture. It’s a valiant effort, and one that deserves greater attention, but the movie itself proves too wayward in its execution for any distinct meaning to be attributed to the title character’s feelings about the public’s perception of him as a hero. Billy (Alwyn) is meant to be torn between two options: following the advice of his sister, Kathryn (Stewart), and leaving the army after an appearance at a Dallas Cowboys Thanksgiving home game, or returning to Iraq for another tour of duty (which is what his squad is supposed to be doing). Billy and the rest of his squad, led by Sergeant Dime (Hedlund), are on the last leg of a nationwide victory tour. The group of soldiers, misnamed Bravo Squad by the media, are there because Billy was caught on camera in heroic fashion as he tried to save another wounded sergeant, Virgil “Shroom” Breem (Diesel), during a firefight. Back home for the tour, Billy has had time to visit his home, where his sister Kathryn has voiced her fears for his continued safety, and her worries that he’s suffering from Post Traumatic Stress Disorder. Billy is undecided, unsure if he should commit to his sister’s proposal, or reaffirm his commitment to his squad. Making a decision is made more difficult both by the attention he’s getting, and the lack of understanding from the public. Nobody seems to be able to grasp what it’s like fighting in a war, and when he tries to explain how it is, he’s either unable to express himself clearly enough, or the other person doesn’t want to hear it. This is the crux of the matter, and the script – by Jean-Christophe Castelli – spends an awful lot of time examining this aspect of what it’s like to be a soldier. At one point, the squad are approached by a businessman (Nelson) who tries to flatter them into endorsing his fracking operation, but his obvious lack of empathy leads to an overly sarcastic response from Sgt Dime that highlights the distance between them. It’s the kind of well-rehearsed comeback that happens only in the movies, but along with a shorter retort made by Billy in response to Dallas Cowboys’ owner Norm Oglesby’s (Martin) understanding of Billy’s public status, it does make clear just how distant a soldier’s experience is from what the public supposes; and how difficult it is for each side to meet in the middle. Billy connects with one of the Dallas Cowboys cheerleaders, Faison (Leigh), and tells her “It’s sort of weird, being honored for the worst day of your life”. She’s sympathetic, but doesn’t really understand what he’s telling her. Around all this, the movie explores notions of fate, camaraderie, personal philosophies, determinism, what it means to be a hero, and the broader effects of violence, and the script and the movie are on firmer ground when these are being examined. There are moments where PTSD is shown to be a problem for some of the squad, particularly when a disrespectful Dallas Cowboy fan is choked into unconsciousness. And during flashbacks, Sgt Breem makes it clear to Lynn that there’s no point worrying about being killed; as he puts it, if that’s the way Billy is destined to die then “the bullet’s already been fired”. Breem’s philosophical bent makes sense to Billy, and he does his best to embrace his sergeant’s more thoughtful approach to the war and being a soldier. But he’s also firmly behind the assault on the fan, deeming the inappropriate use of force as acceptable. These contradictions add to the dichotomy inherent in Billy’s thinking, and provide a better understanding of why he’s so torn between leaving and staying. They’re also a much better way of explaining why there will always be a distance between the soldiers and the public. Billy’s relationships with Kathryn and Faison act as a counterpoint to the macho solidarity he has with the rest of the squad, but they don’t occupy enough screen time to make as much of an impact as may have been intended. Along with movie producer Albert Brown (Tucker), there trying to clinch a deal for a movie version of the squad’s endeavours in Iraq, Dallas Cowboys gofer, Josh (Platt), and his boss, Norm, there are few other characters who are given much prominence. Fortunately, Billy’s story is absorbing enough to compensate for all this, and newcomer Alwyn proves to be a great choice in the role, having got the part just two days after leaving drama school. His ability to express the doubts and fears and troubled feelings of the character are exemplary, and it’s a performance of remarkable maturity for someone who at the time of shooting was only twenty-four (also, his American accent was so convincing, that at first Steve Martin didn’t even realise he was British). Alwyn is given a lot of room by Lee to explore Billy’s relationship with his comrades and his return to life back home, and this freedom pays off extremely well, with Billy becoming a fully rounded character who’s entirely sympathetic thanks to the dilemma he has to face. Elsewhere, Hedlund is on equally good form as the acerbic, straight-talking Dime, Stewart looks unfortunately as if Kathryn has a drug problem, Martin is unctuous and insincere as Oglesby, Leigh is refreshing as a cheerleader with Christian beliefs, and Diesel shows that there’s far more to his acting abilities than driving muscle cars and propping up other, unsuccessful franchises. With the performances offsetting some of the more troublesome aspects of the script, Lee’s decision to shoot the movie at 120fps does pay off, even in lower frame rate versions. 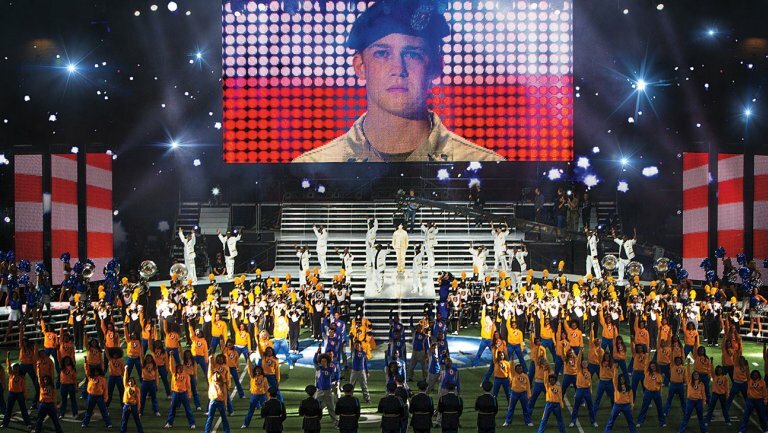 Billy Lynn’s Long Halftime Walk is possibly the most beautiful, most visually arresting movie of 2016. Images are crystal clear and possessed of a sharpness and depth that is amazing to watch, so much so that when Lee opts for a close-up (cue shots of Martin and Tucker late on in the movie) it’s a little unnerving; it’s as if the actors are really “in your face”. Lee’s aim to make the movie as immersive as possible has been achieved with no small amount of style and panache, and as a gamble it’s paid off far more effectively than with The Hobbit: An Unexpected Journey. He’s also chosen one of the best cinematographers working today, John Toll, to help make the movie so astounding to watch. It’s a shame then that the material on screen doesn’t quite match up to the efforts made off screen. Rating: 7/10 – with its muddled exploration of the soldier’s lot, and a lack of clarity in terms of explaining said lot to a wider public (namely the audience), Billy Lynn’s Long Halftime Walk doesn’t quite manage to reach the heights it was aiming for; technically superb but not as gripping or insightful as it could have been, it’s still a movie that has plenty of things to recommend it, though expectations should be reined in ahead of seeing it. NOTE: The current For One Week Only is taking a well-deserved break after its Disney sequel marathon yesterday; it’ll be back tomorrow. Once he’s reprised his role as Batman in Suicide Squad, Ben Affleck will next be seen in this odd thriller about a maths savant who works as a forensic accountant by day and is a hired assassin by night (of course). Working for the bad guys works out okay, but when Affleck’s character, Christian Wolff, takes on a legitimate client, things take a more deadly turn. It doesn’t help that Christian is also being pursued by the Treasury Department (led by J.K. Simmons). Whether or not this will be any good is open to conjecture, but Warner Bros. have put back its original release date from 29 January to 14 October, suggesting that there’s not the complete confidence in it that you might expect. It does have a great cast, with Anna Kendrick, Jon Bernthal and John Lithgow in support, and director Gavin O’Connor did a good job in taking over on Jane Got a Gun (2015), so this does have bags of promise at least. Perhaps a bit of finger-crossing is in order, then. An adaptation of the novel by Ben Fountain, Billy Lynn’s Long Halftime Walk has a lot to recommend it. It’s the first feature from Ang Lee since Life of Pi (2012), it has a supporting turn from Vin Diesel which should remind people that away from muscle cars and a certain genetically-enhanced murderer he’s a much better actor than he’s given credit for, and has been filmed in 4K, 3D and 120fps. Early footage shown at the National Association of Broadcasters show in Las Vegas last month was greeted with the kind of superlatives that make this a shoo-in at next year’s round of awards ceremonies. 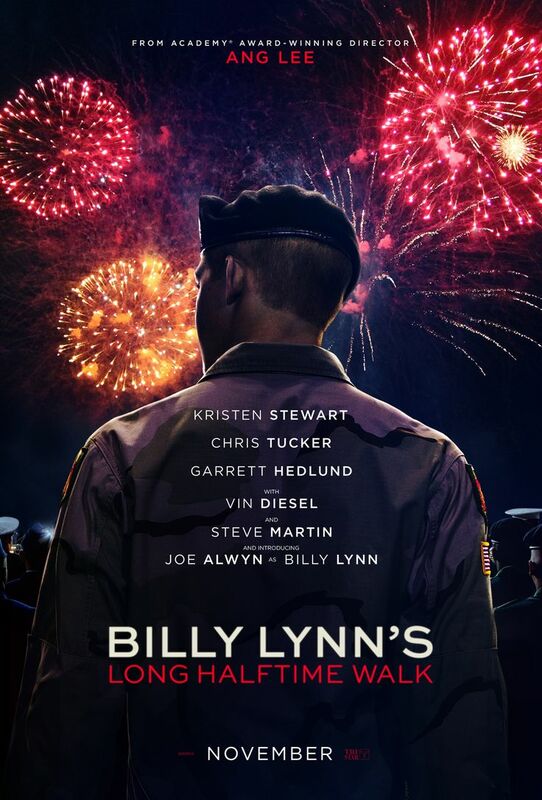 Away from the technical side though, this looks to be an emotional and compelling look at the differences between the realities of war and perceptions reached at home, and features a break-out performance from newcomer Joe Alwyn as Billy Lynn. Another literary adaptation, this time from the novel by M.L. Stedman, The Light Between Oceans is the latest from director Derek Cianfrance, who gave us Blue Valentine (2010) and The Place Beyond the Pines (2012). It’s a heartfelt tale of impassioned romance, parental loss, uncontrollable grief, and a gift from the sea that brings with it a painful moral dilemma. Michael Fassbender and Alicia Vikander are the couple making a difficult choice in the midst of overwhelming grief, while Rachel Weisz is the widow whose recent loss threatens their regained happiness. The movie looks beautiful thanks to Justin Kurzel’s go-to cinematographer Adam Arkapaw (he also shot the first series of True Detective), and the period settings – post-World War I Western Australia – appear to have been lovingly recreated. If everything turns out as hoped, then this too will be sparring for awards come the beginning of 2017.